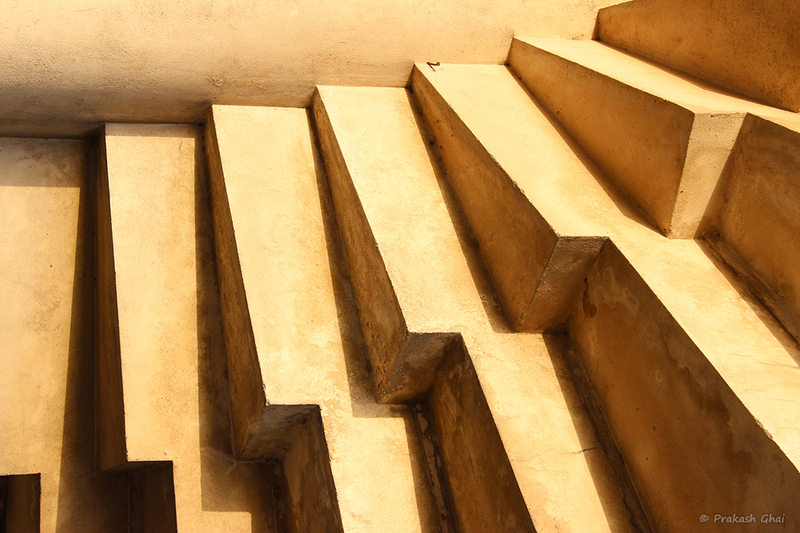 This is a shot of the geometry under a circular staircase, which I spotted at Ganpati Plaza Jaipur. I was at the Canon Camera shop to purchase an external flash. I thought that would be a good add-on for my camera kit, so I bought this Flash for myself. I also had this at the back of my mind that maybe someday, I would get into commercial photography and I might need this thing then. So why now buy it now and experiment. Soon after I purchased that expensive add-on, I roamed around for some minimalist shots. I kept on wandering and looking here and there, and I was struggling hard to find some geometry. There was this spiral staircase near me, that lead to the first floor. I thought it would be a good idea to step a bit away from the staircase and try and capture its spiral nature. I did so, but the shot had a lot of distracting elements in the background. I tried many a shots but I wansnt able to crop those elements out or make the frame look interesting. So I gave up on that shot. Right under the staircase there was this geometry, so I went under the staircase and zoomed in. I found this rhythmic curve being formed, and that quickly reminded me of Piano Keys. And Bingo, I had my shot. I kept the shot going upwards slightly to add a sense of dynamism.